Published by Dots Connecting Pte. 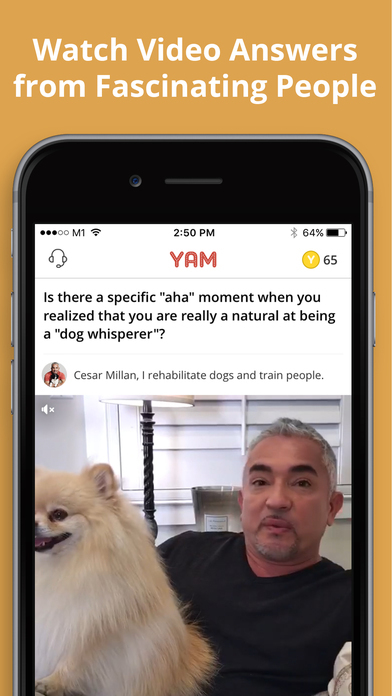 Ltd.
YAM ("You Ask Me") is a Video Q&A app where you can either pose questions to (i) groups or (ii) individual users directly. You may even stand to earn a quick buck by providing great video answers to questions (through tips and unlocking fees). You can pose your question either to (i) groups you've joined or (ii) directly to another individual user. In the later case (ie. directly to another individual user), you can offer a tip (say $10; purchased as in-app Coins) along with the question in order to incentivize him/her to answer the question. If you don't receive an answer within 7 days, the $10 will be credited back to your YAM account as in-app Coins. 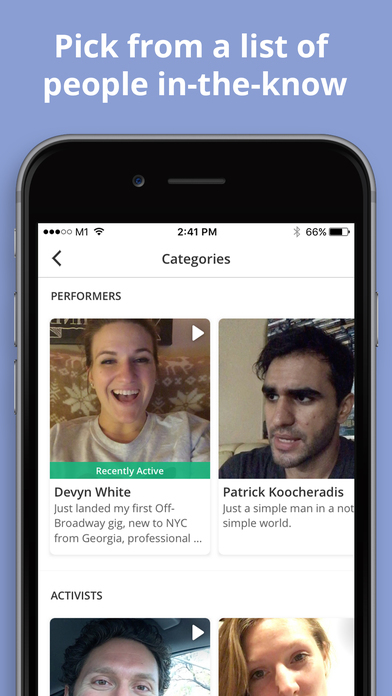 You can post a video answer to groups you've joined. As for questions that are directed only to you, you have 7 days to answer the question, after which it expires. Once you've published your video answer, whatever amount of tip offered by the "Asker" will be credited into your YAM earnings account. The first half of all videos are FREE for preview. It'd take 5 Coins (ie. equivalent to $0.05) to unlock and get unlimited access to rest of the video. The $0.05 will go back (50-50) to the users who asked and answered the question respectively.